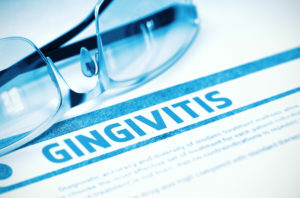 Gingivitis – Medicine Concept with Blurred Text and Pair of Spectacles on Blue Background. Selective Focus. 3D Rendering. Growing up, I was taught that there was no such thing as a stupid question. Apparently, that’s not true… there evidently is such a thing as a stupid question, and in 1992 it seems that I asked it! We were learning about gingivitis and periodontitis and how it all starts with the formation of plaque. I raised my hand because I had a question. When called upon, I inquired as to whether or not there is a correlation between plaque in the mouth and plaque in the arteries. The instructor, a periodontist whose name is Dr. Payne, laughed hysterically before finally saying, “No.”. Of course, his response elicited laughter from the entire class and I naturally felt foolish for asking the question. Was I really the only person wondering if there was a correlation between plaque in mouth and plaque in the arteries? Had nobody ever asked that question before? As it turns out, approximately 4 years later, the American Heart Association released a report indicating that their research had discovered the bacteria porphyromonas gingivalis in heart valves which had heretofore previously only been found in the mouth. It wasn’t such a silly question after all, was it, Dr. Payne? There actually is a correlation between plaque in the mouth and plaque in the arteries. Since then, it has been reported that periodontitis has been directly linked to heart disease, diabetes and stroke. Those are three of the top 5 or 6 (depending upon the year) preventable causes of death in the United States! Additionally, periodontitis has been linked to rheumatoid arthritis, lung conditions, obesity and pregnancy complications. These pregnancy complications include premature babies, low birth weight babies, babies with lung conditions, babies with heart conditions and babies with learning disorders. Evidence also indicates that there may be an interrelationship between periodontitis and certain types of cancers. Many studies have demonstrated that periodontal pockets may act as reservoirs for human papilloma virus, Epstein Barr virus, cytomegalovirus and other suspected agents associated with oral cancer. The only way to know for certain that you have gingivitis or periodontitis is to visit your dentist and have a periodontal examination performed. A thorough exam involves the use of a periodontal probe to measure and record the depths of the sulcus or periodontal pocket. At TLC 4 Gums, we can help you restore health to your gums and teeth. Contact us today for a free consultation.